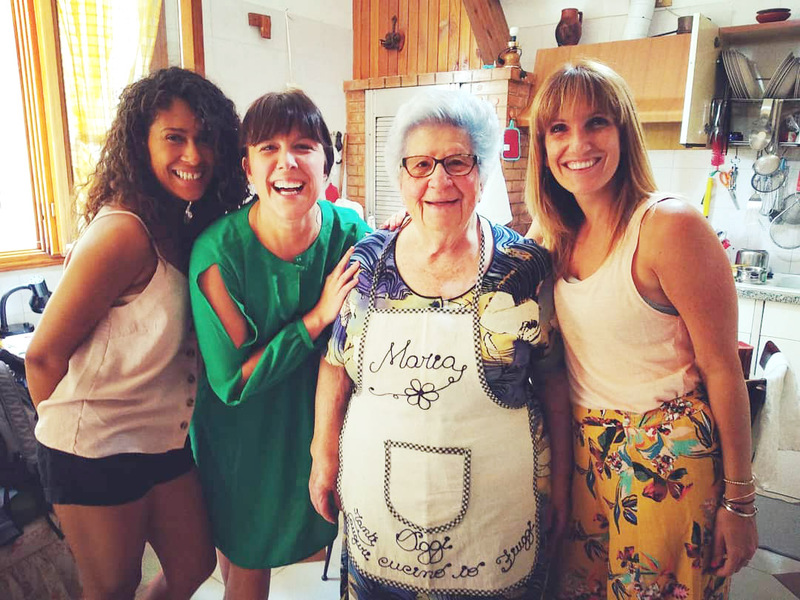 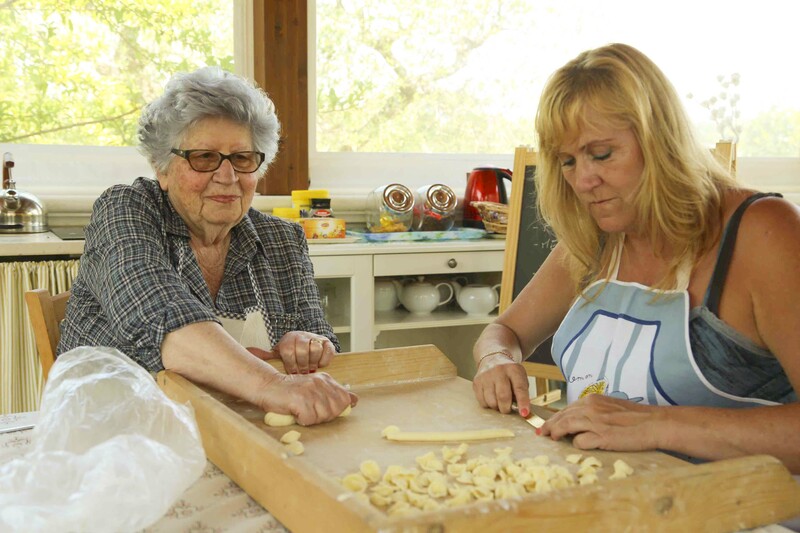 Trulli Italian School > Activities > Speciali > Cooking with Nonna! 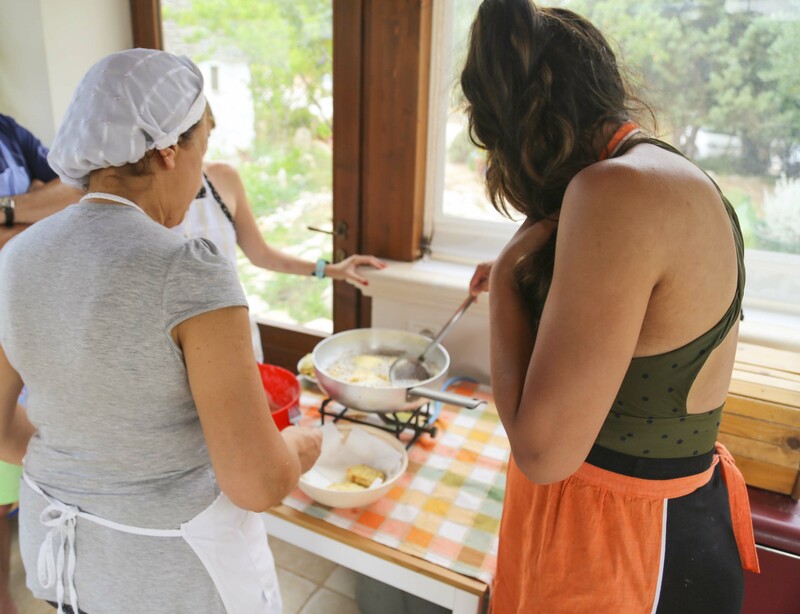 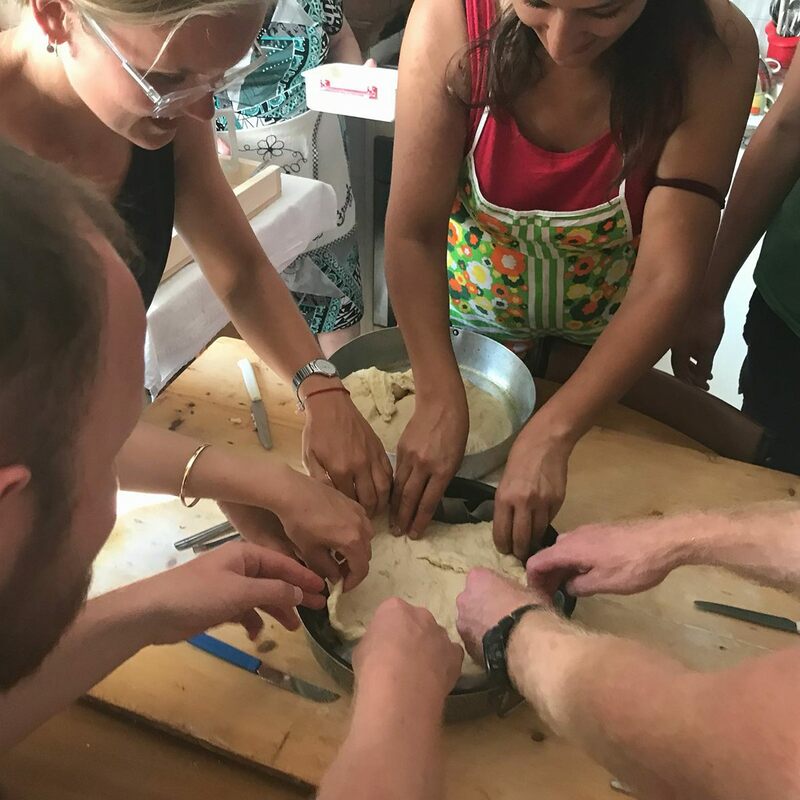 Learn italian and cooking in Puglia! 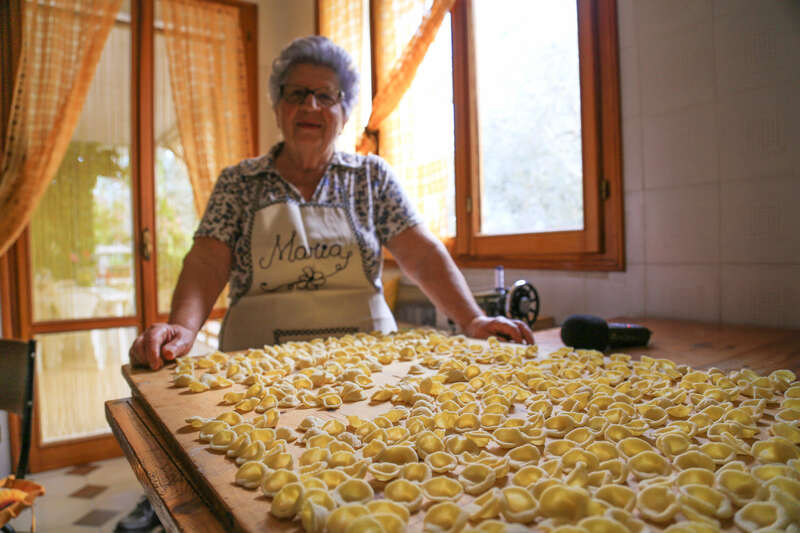 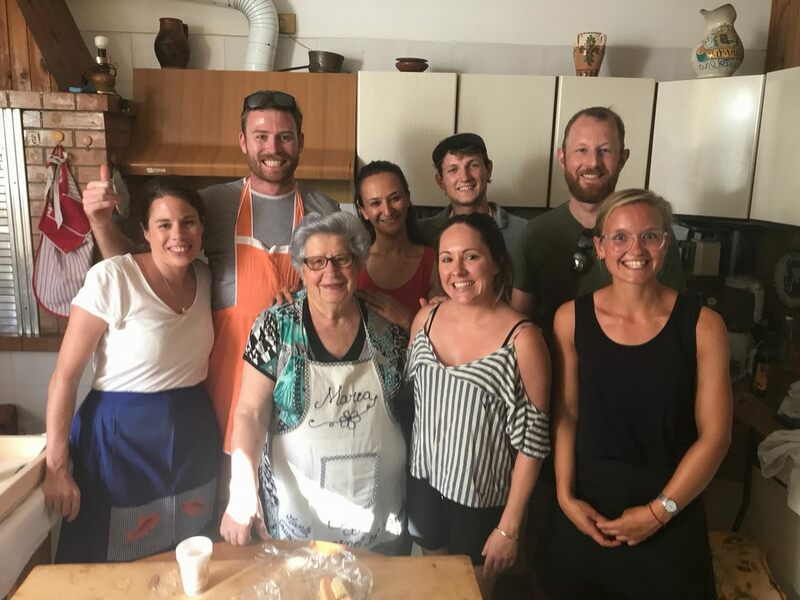 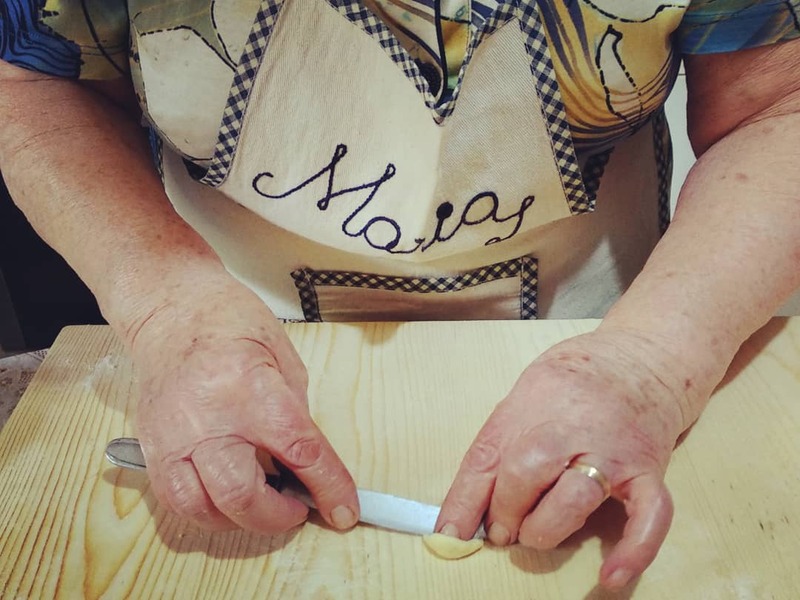 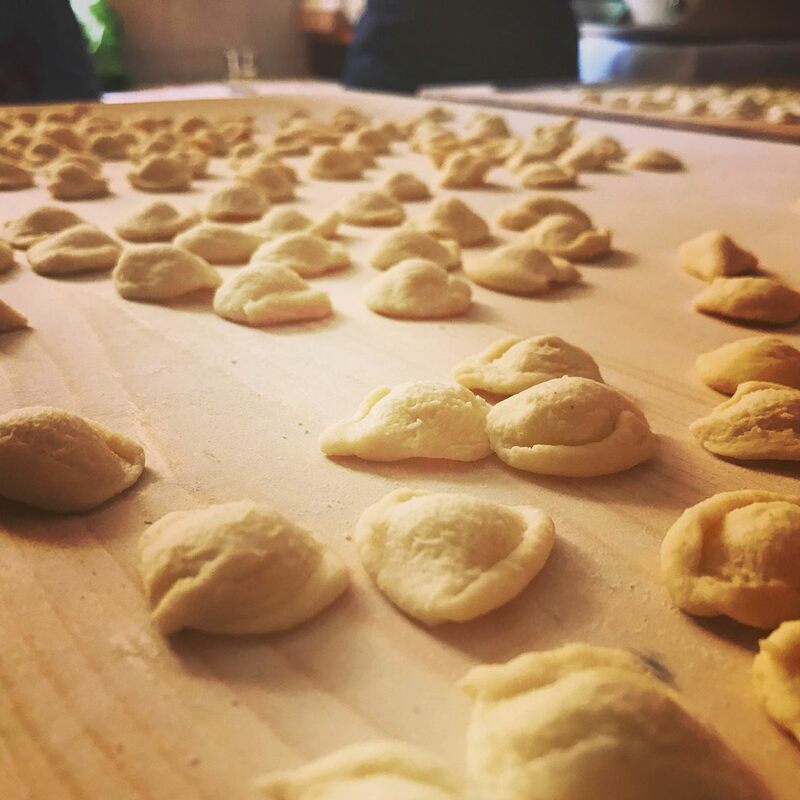 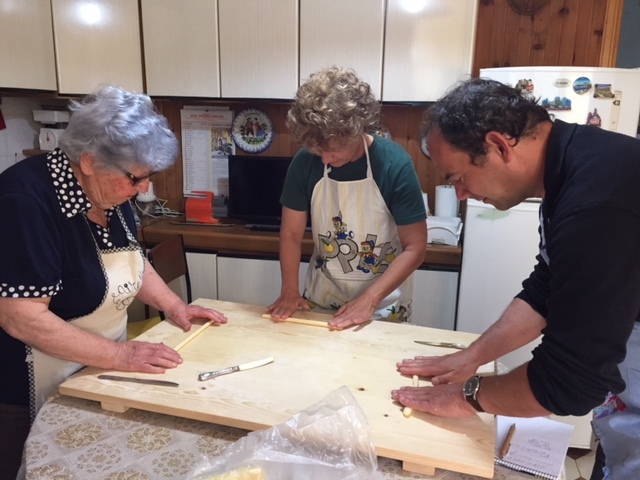 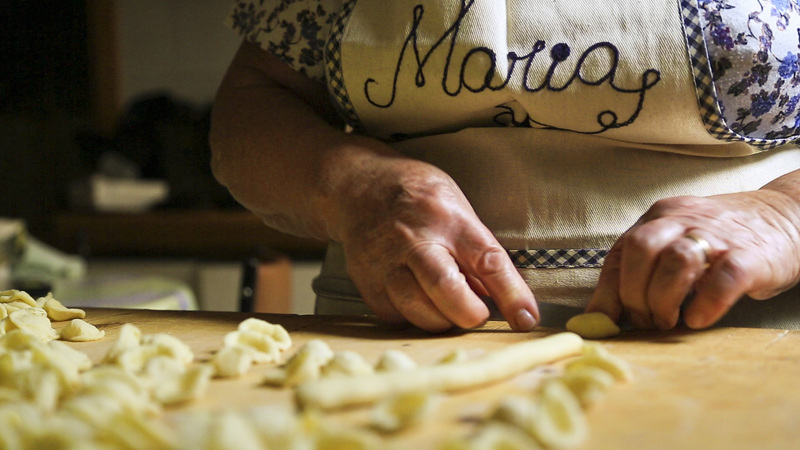 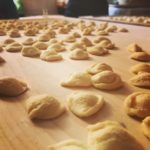 For one week you’ll literally have your hands in pasta alongside a “real master” in this field, grandma Maria that will teach you all her secrets in the Apulia cuisine! 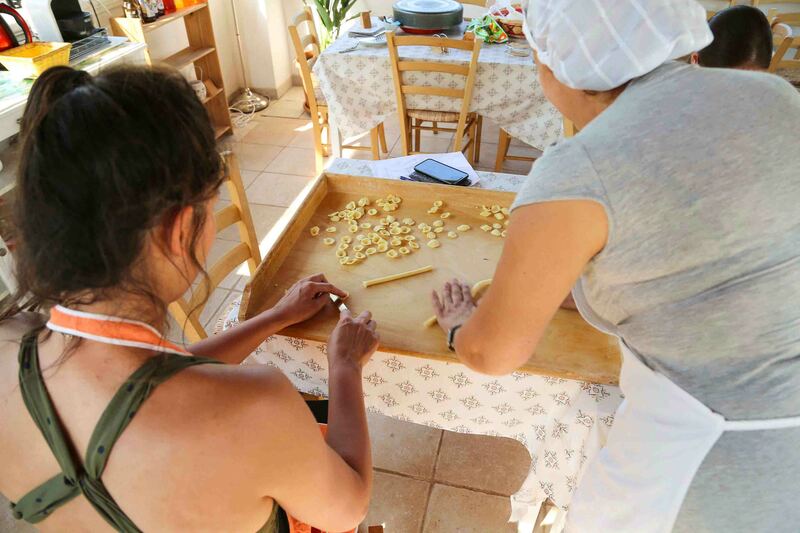 Together you’ll prepare traditional Apulian dishes , such as the famous handmade “orecchiette”, “la focaccia”, “panzerotti”, “taralli“, or traditional italian dishes like “ravioli”, “gnocchi”, “polpettone”, and many others, including vegetarian recipes with very organic ingredients grow in the private Granma’s garden. 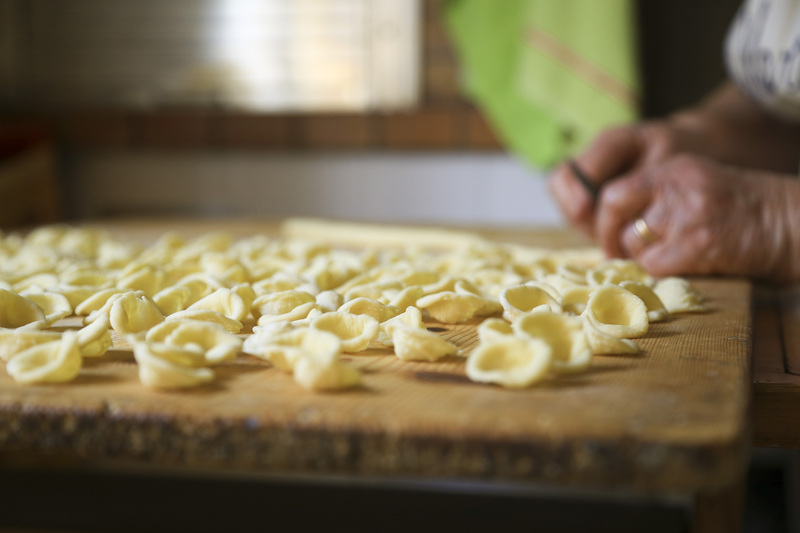 In short, a great amount of fun and flavour is awaiting you! 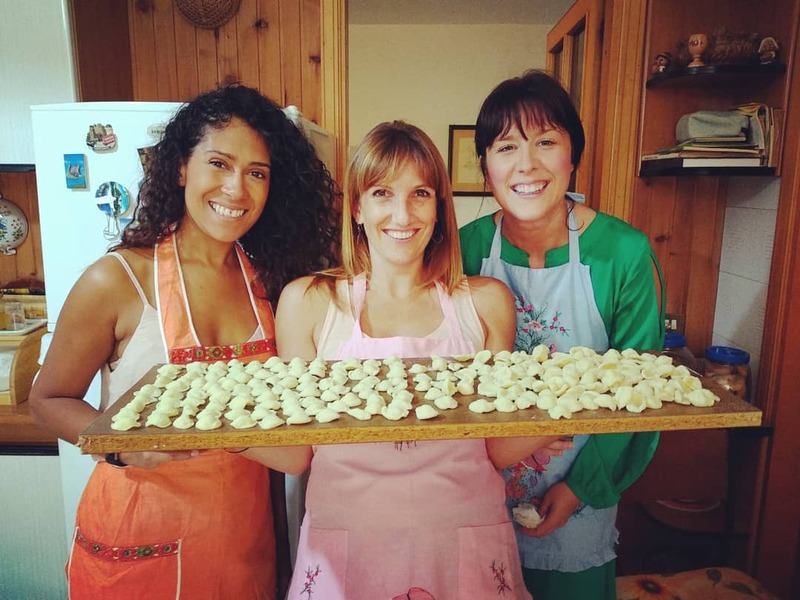 2 or 4 or 8 hours cooking class. 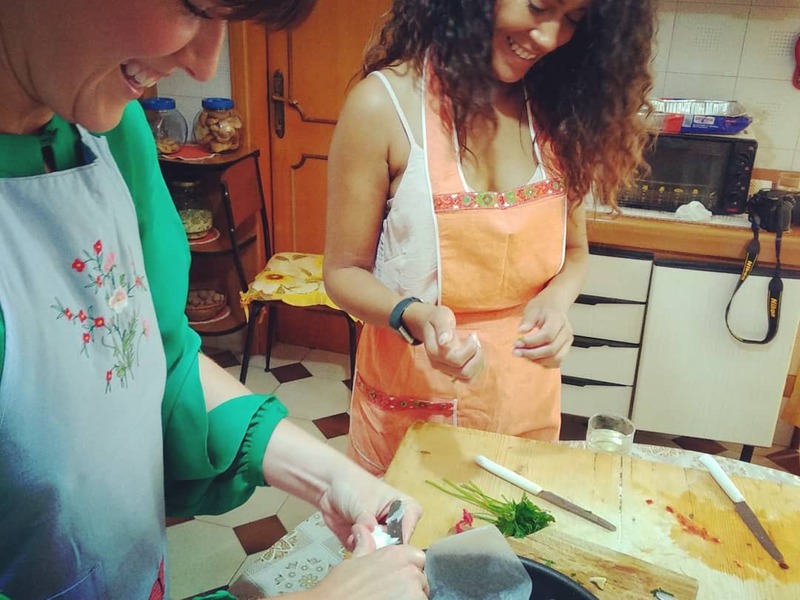 Full dinners at the end of each cooking course (starters, pasta course, second dishes, side dishes, fruit, dessert and drinks). 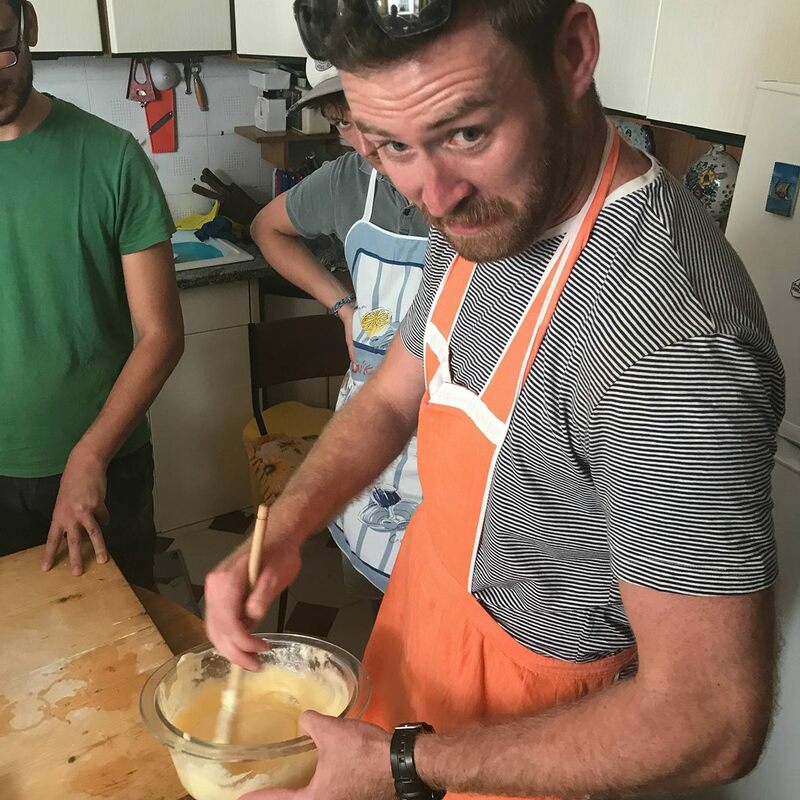 Coffee or tea durng breaks.